Ann-Marie Coleman of Inverurie said she was very proud of George Rowe’s association with what is a powerful symbol of the sacrifices made during the First World War. The Unknown Warrior, chosen to represent the many unnamed dead, was carried from a battlefield in Boulogne, France to London in November, 1920 to be laid to rest among kings and statesmen. 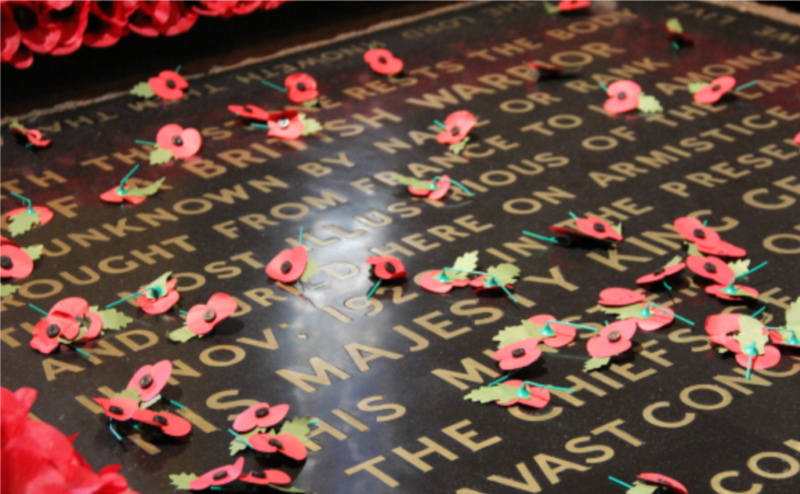 Tomb of the Unknown Warrior at Westminster Abbey. Dean and Chapter of Westminster. The grave, filled with soil from France, is marked by a black marble stone with an inscription. 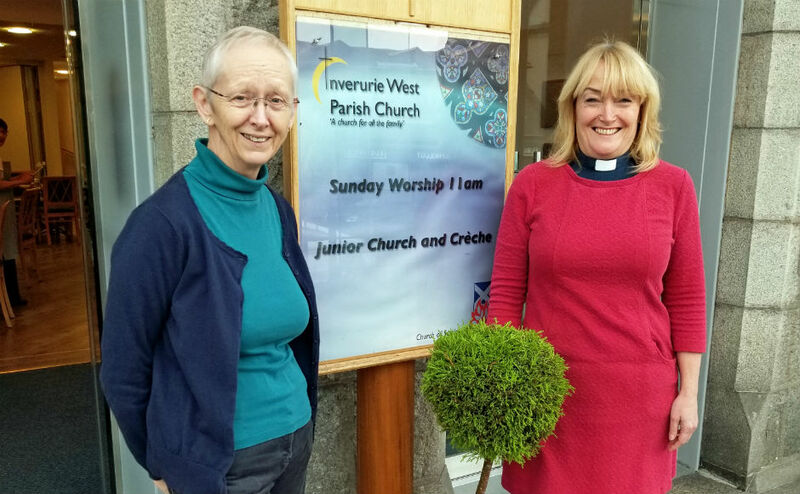 Mrs Coleman, 69, a member of Inverurie West Parish Church, said: “My dad died when I was 14 years old and worked away from home a lot so the time I had with him was precious. “He served in the Royal Navy during the First World War and in the Merchant Navy during the Second World War. “Although he didn’t talk specifically about his experiences to me, I know that he was very proud of his service and the British Armed Forces. “It was only after my mother died that I found the page, torn from Shell’s ‘Mirage’ magazine, dated November 1933, that told of my dad’s privilege in being part of the guard of honour. 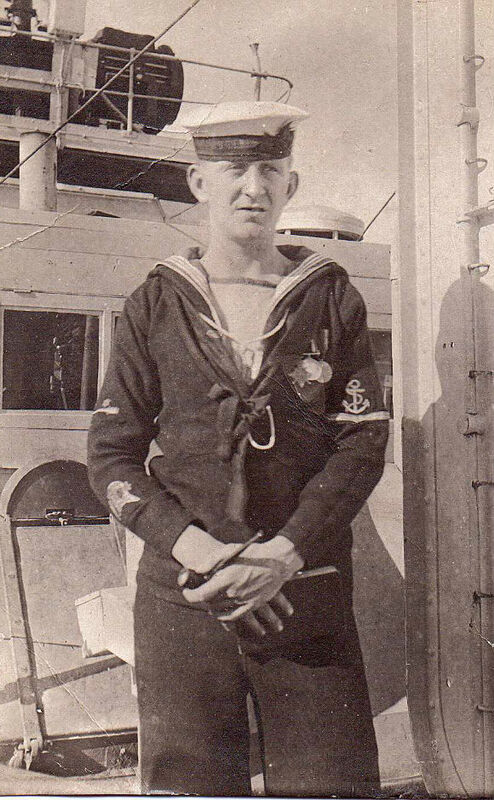 George Rowe in his Royal Navy days. Mr Rowe of Inverurie died in 1964. Inverurie West Parish Church has been awarded eight perspex silhouettes created by the There but Not There ‘Armistice Project and funded by the Armed Forces Covenant Fund Trust to mark the centenary of the end of the First World War. They will be set up as a powerful visual symbol of absence within the church sanctuary on Armistice Day on November 11 and in the downstairs café at different times. Inverurie West Parish Church minister, Rev Rhona Cathcart, said: “The father of one of our members was among the guard of honour who escorted the Unknown Soldier and 100 years later many families are still ‘missing’ young people who have lost their lives in armed conflict. “For this reason, the silhouettes will be at the heart of the event, and in the week leading up to it, forming a poignant reminder of young lives lost and futures sacrificed. Rev Rhona Cathcart and Ann-Marie Coleman, whose father was part of the guard of honour for the Unknown Warrior. The church will be open to the public from 11.30am-4pm on November 11. Tea, coffee, soup and home bakes will be on offer in the café with donations going to Poppy Scotland.